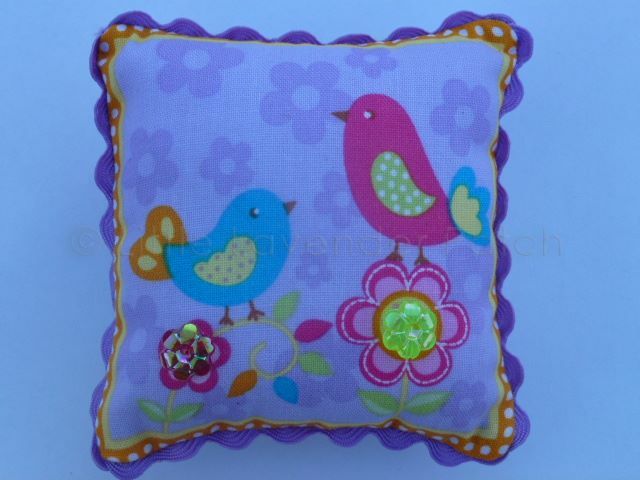 Kit for a sweet birdie pin cushion. 3.5" square. 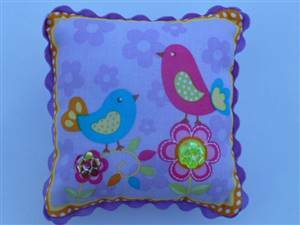 Kit includes instructions, fabric, ric rac and 1 shiney button. Different colourways available.